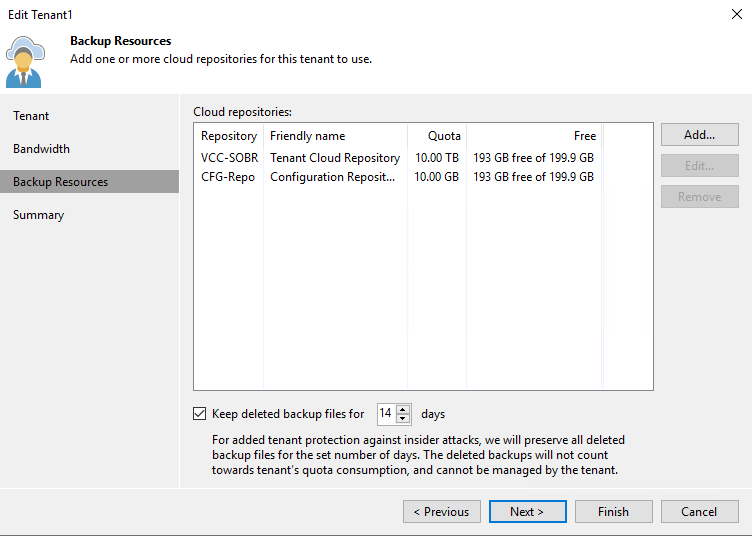 One of the use cases for Veeam Cloud Connect is also the use of Cloud repositories as target for Veeam Backup & Replication configuration backups. Thanks to this option, service providers can offer to their tenants a complete protection against catastrophic damages to their Veeam installation; by storing the configuration backup into Veeam Cloud Connect, and entire Veeam Backup & Replication system can we reconfigured by simply retrieving the configuration backup from the remote location and then applying it to a fresh installation. 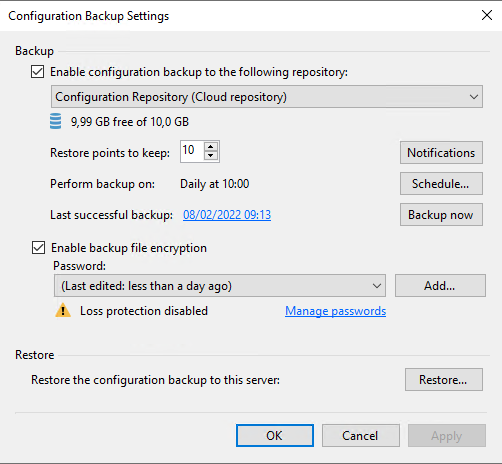 for this reason, if a provider wants to offer backup services also for Configuration backups, at least one of the offered cloud repositories needs to be backed by a simple repository. The friendly name has been used to explain to the tenant the purpose of both cloud repositories, and also the size of the Configuration repository has been kept low to avoid that any virtual machine could be stored here, while the space is enough for configuration backups. The configuration file is ultimately stored in the Cloud Repository.